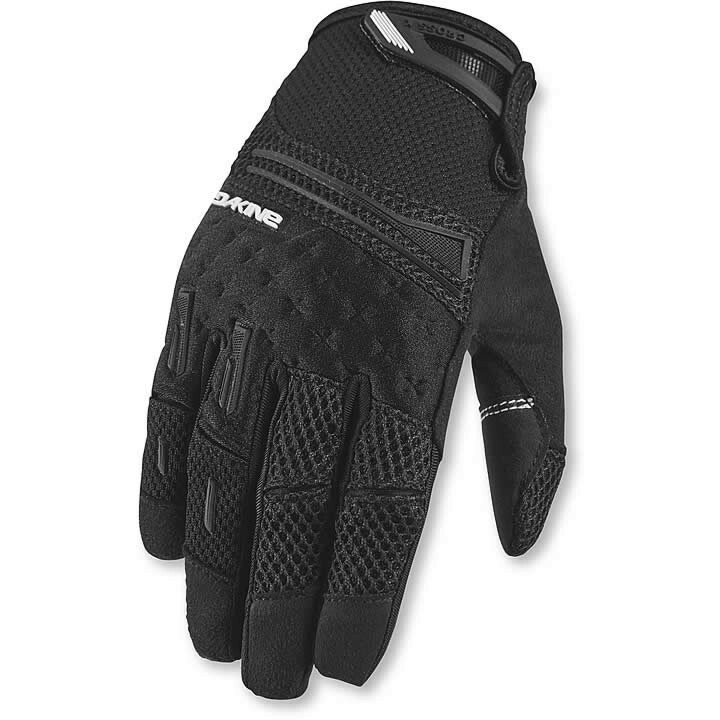 The women's Dakine Cross-X Bike Gloves are built for downhill charging thanks to the dampening effect of 3mm of foam padding on the palm. You'll keep your cool thanks to moisture-wicking 4way stretch polyester combined with airmesh. The palm is constructed of synthetic suede and enhanced with silicone grip on the fingertips for great bar grip. Back of hand features sonic deflectors on the knuckles for added defense. You have permission to go hard in the Cross-X Gloves.